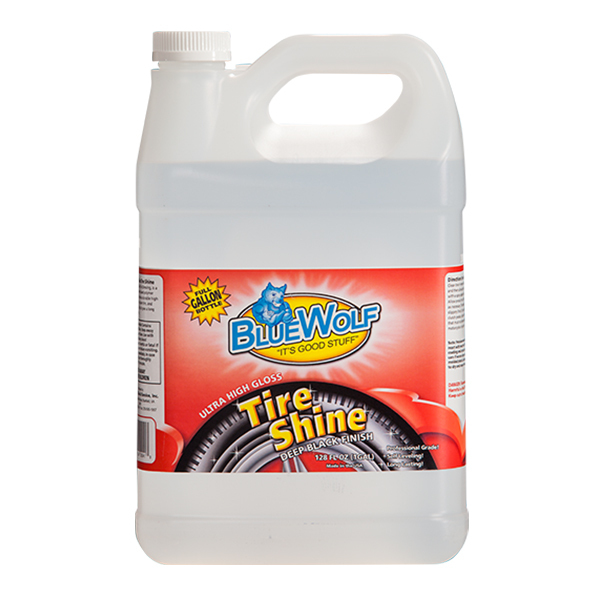 Blue Wolf High Gloss Tire Dressing is a concentrated solvent based polymer dressing which provides a durable high gloss look to tires, rubber trim, and vinyl surfaces. A little bit goes a long way! Self leveling. Pictured above are the 1 gallon and the 32 oz. spray bottle options. 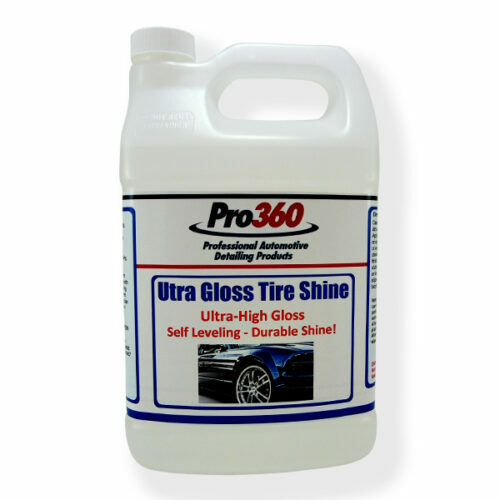 Clean tire to remove oxidation and dirt and then allow surface to dry. 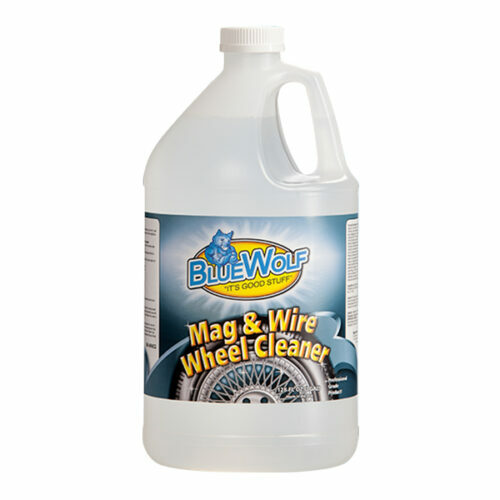 Apply with a spray applicator, cloth or sponge. 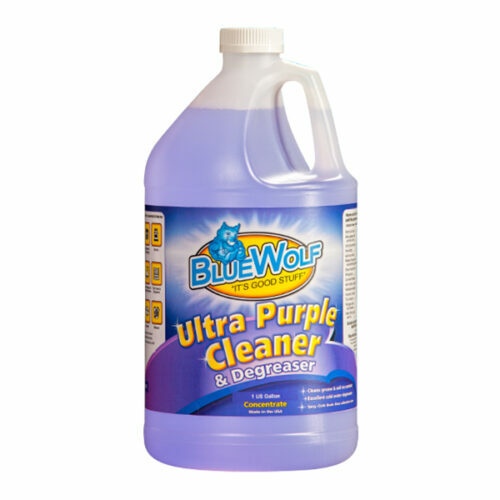 Allow product to air dry or wipe excess as necessary. 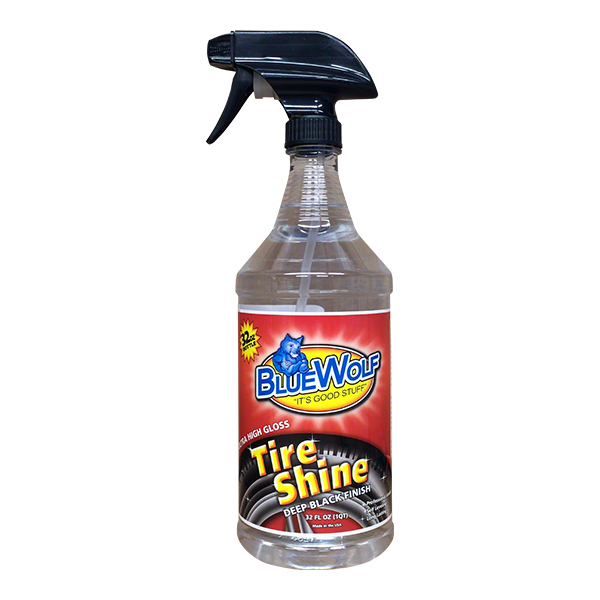 Tire dressing produces a slippery finish. Do not apply to brake or clutch pedals, rubber floor mats or tires that must not become slippery such as motorcycle or bicycle tires. 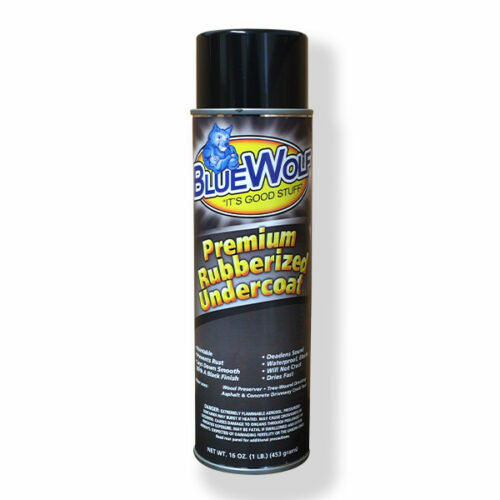 Note: Petroleum based products can react with new tire UV protective coating and can stain some model cars if excess slings onto paint or molded plastic. Allow adequate time to dry and wipe of excess. Flammable! Harmful or Fatal if Swallowed! Keep out of reach of children. Read label for more information.